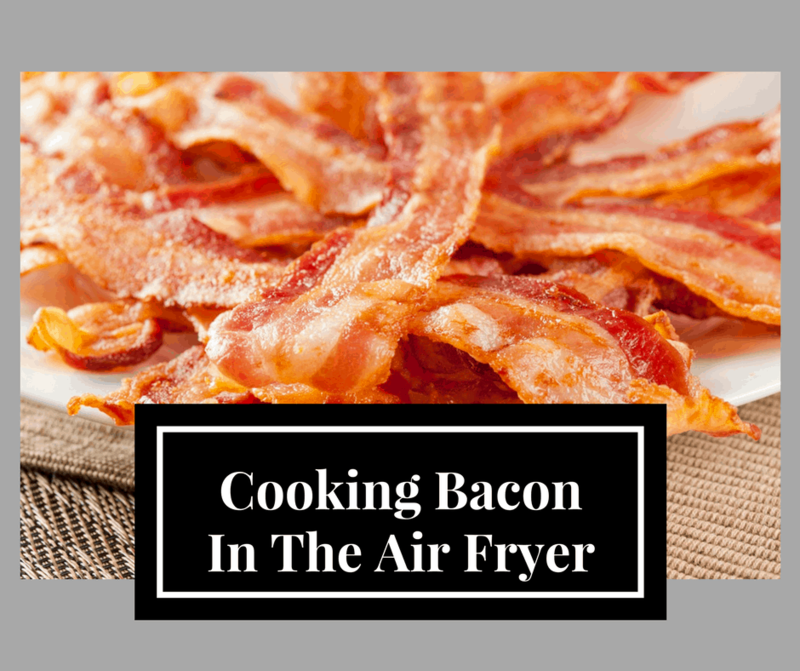 One of the biggest questions on our Air Fryer Recipe and Tips facebook group is how to cook bacon. And since, today is Saturday, and everyone is running around and shopping for the week. I thought I would sit down and write this. Bacon has typically been made on the stove top or in the oven, or even in the microwave. Now, making bacon in the air fryer is awesome, it’s easy and it comes out not greasy. So, if you are going to eat bacon, it’s a great way to save a few calories. Making bacon in the air fryer is easy. The first thing that you need to do is to preheat your Air Fryer for about 5 minutes at 200 degrees. This will make a big difference in your final results. Then, place the bacon on the tray and then reinsert into the Airfryer. The average time is between 7 to 10 minutes, however, it greatly depends on the thickness of the bacon. A surefire way to cook it perfectly is to set the time for 3 minutes. Then flip it and then look at it, and see how it is doing, does it look almost done, set it for another 3 minutes. If not add another 5 minutes.